Sheri Fink has amazing energy and an infectious positive attitude. She's the author of five best-selling children's books and more. 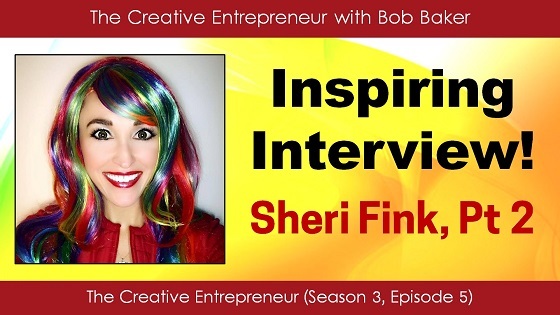 On this episode (part 2 of my interview with her) she reveals the three key traits responsible for her success, along with how she overcomes creative challenges. Listen to this when you need a shot in the arm while pursuing your dreams!